Not impressed by the fireteam that four-manned King’s Fall Hard Mode in Destiny: The Taken King? Or that time they did so as a full six man fireteam but wearing Festival of the Lost masks while setting other challenges? How about that one guy who soloed Oryx? Or the three players who beat the Oryx Challenge Mode on Heroic? Well, if that’s not enough, then The Great Gatsby and Commander Cuesta are back at it again to casually two man the Oryx Challenge Mode on Heroic. Yes, you read that right. Two players. Now try not completing it with a full fireteam and come back to us. The completion of this Challenge relies on exploiting blind spots where the Light Eater Knights can’t steal the Corrupted Light orbs. If you watch the video below, you’ll see exactly where the placement of these orbs has to be but there’s still tons of coordination required on the part of both players. Q: How come the vessel doesn't eat bombs? Q: What gun are you using? 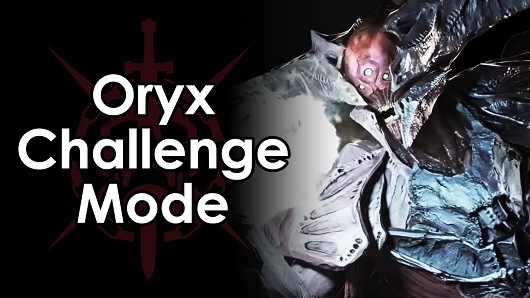 Now, let's just wait until they release a video with one player beating Oryx Hard Mode challenge. :) Now that would be epic and, that will that Destiny should release a new pve content right away. For more Destiny news and updates, come and join our facebook gaming community @ facebook.com/webjunkiesblog.